This is the baby donkey foal born in the week of the blue moon, so I thought I would name her painting ‘Blue moon’.She is one of the new additions to a small herd of donkey’s that live in the new forest, roaming between Sway and Brockenhurst. I see them regularly when I am out riding, which is so nice to watch them grow. 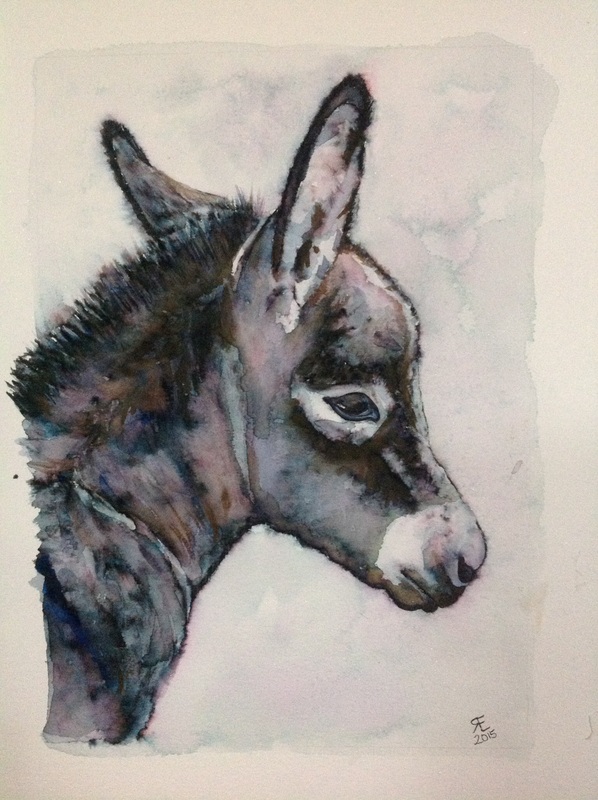 This entry was posted in art, donkey, Elegant writer, foal, watercolour and tagged art, donkey, Elegant writer, foal, painting, Painting, watercolour. Bookmark the permalink.